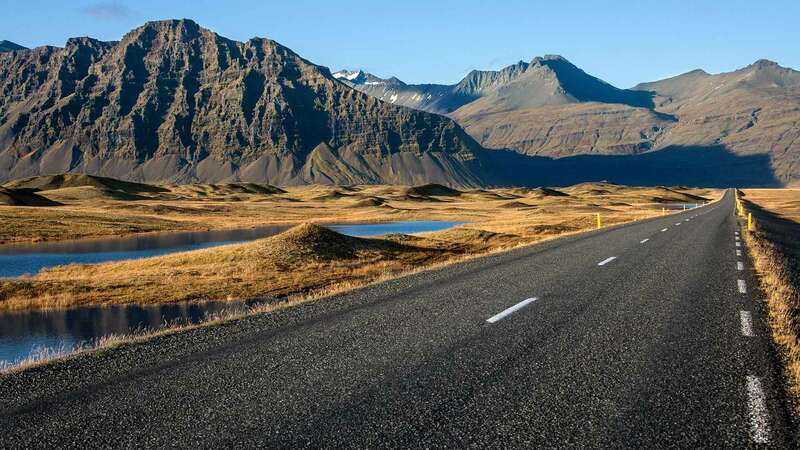 This Iceland Express Self - Drive Tour is the “fast track” around the Ring Road, designed to include as many of Iceland’s top sights as one week allows, including hot springs, glaciers, waterfalls, volcanic black sand beaches and more. It’s one of our 7 day itineraries that covers the most ground, so it includes longer daily driving distances than our other full-circle tours. But with the extra daylight hours of summer, you still have lots of time to enjoy sightseeing from early morning to late at night. 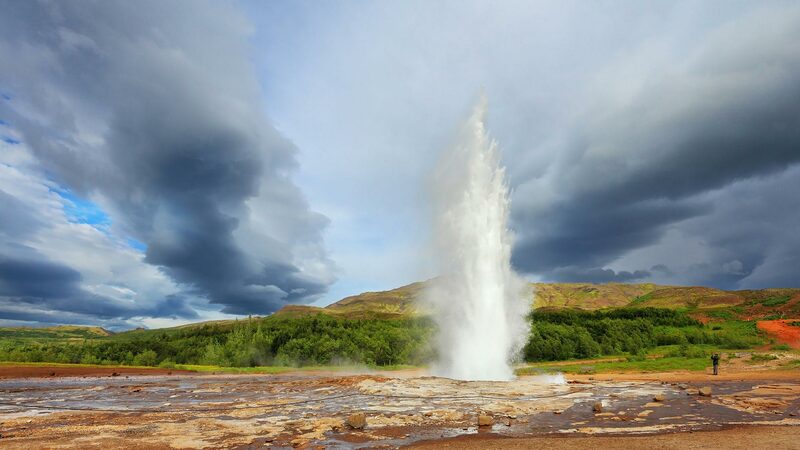 Collect your rental car in the morning and begin your journey on the classic “Golden Circle” route, home to some of Iceland’s most popular attractions, including Þingvellir National Park, the hot springs of the Haukadalur geothermal area, the majestic Gullfoss waterfall and the old implosion crater of Kerið. 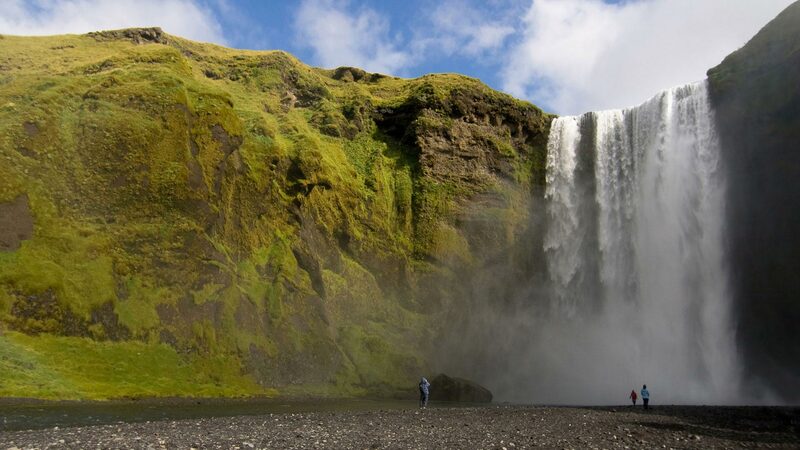 Then continue your drive along the south coast and visit the graceful Seljalandsfoss waterfall—where you can walk behind the cascade—and the equally impressive Skógafoss waterfall. Driving distance approx. 320 km / 199 mi. 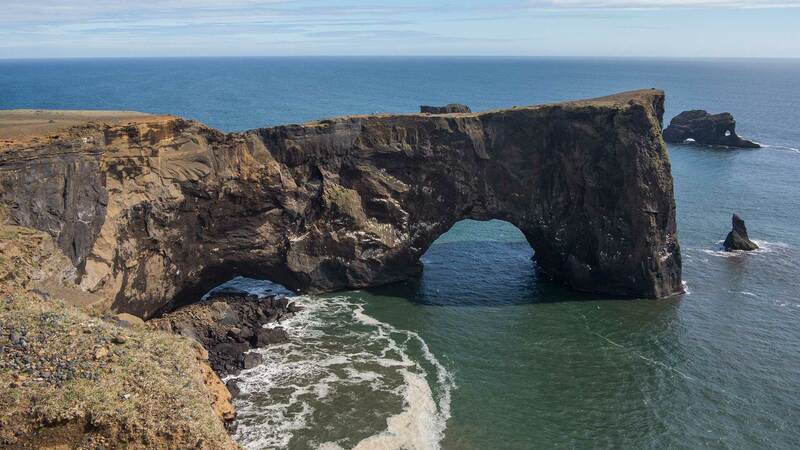 Visit the black volcanic beach near Vík and the rock formations of Dyrhólaey and Reynisdrangar before heading to Skaftafell, part of the immense Vatnajökull National Park and a place of great natural beauty. 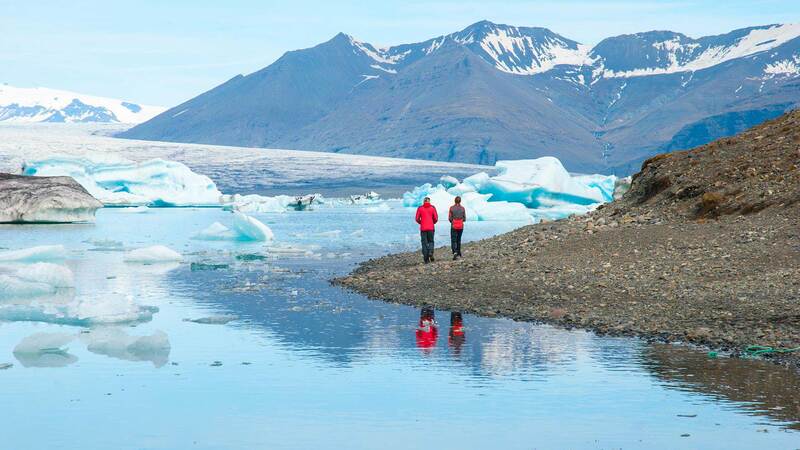 Then, on your way towards Höfn, take a break at the amazing Jökulsárlón glacier lagoon, where you can join a boat ride among the maze of floating icebergs (optional). Driving distance approx. 270 km / 168 mi. Your drive along East Iceland today is characterised by spectacular fjords, tranquil fishing villages and sweeping landscapes. 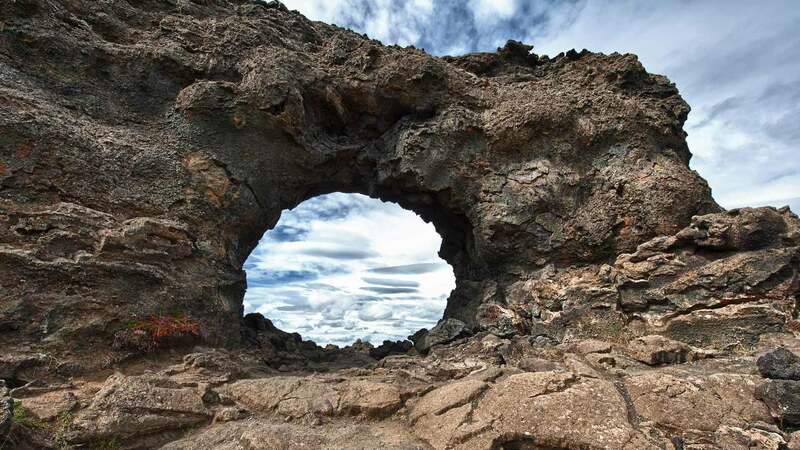 On arrival to the otherworldly Lake Mývatn, you have an abundance of unusual natural wonders to explore, including the Krafla volcano, the curiously-coloured Námaskarð pass, the fascinating lava formations at maze of Dimmuborgir and the lunar-like pseudo-craters at Skútustaðir. Driving distance approx. 420 km / 261 mi. 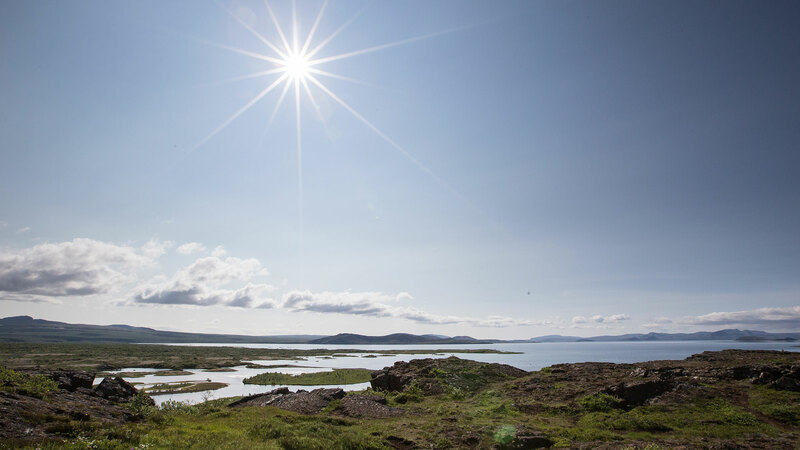 Spend the first half of the day exploring more of the sights around Lake Mývatn before driving towards Skagafjörður. 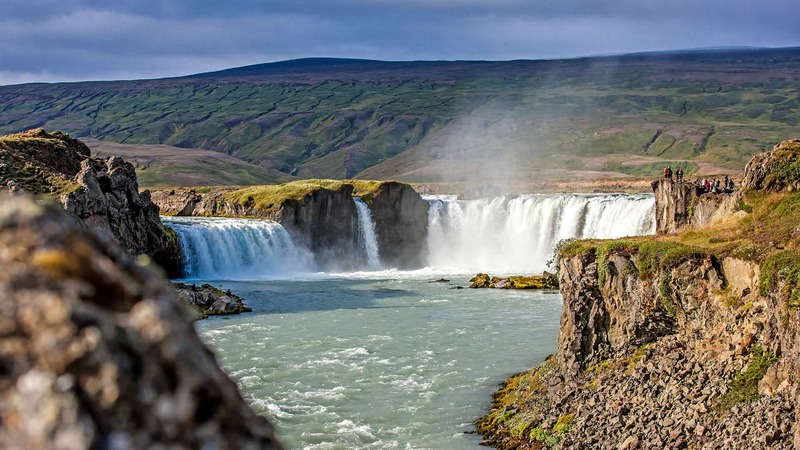 On the way, you can stop to enjoy the beautiful Goðafoss waterfall, the charming town of Akureyri—nicknamed “The Capital of North Iceland”—and the Glaumbær turf farm museum. Head back to Reykjavik today. 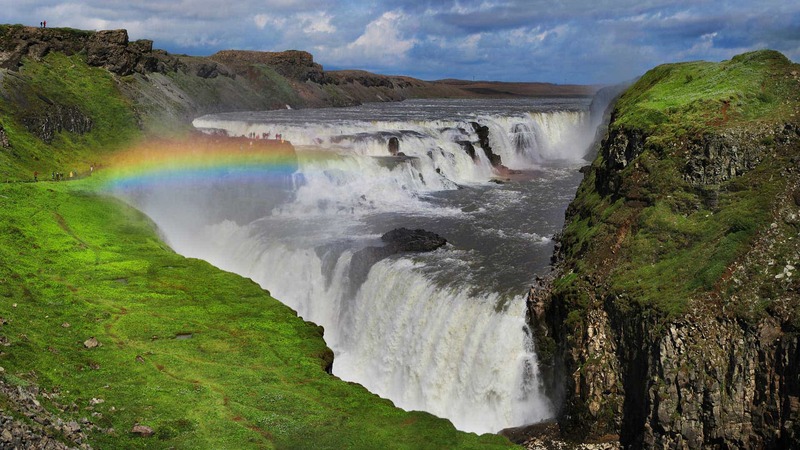 Notable sights along the way include the Grábrók volcanic crater, the Icelandic Settlement Centre in Borgarnes, Deildartunguhver—the largest hot spring in Europe—and the beautiful Hraunfossar waterfalls and Barnafoss waterfalls. 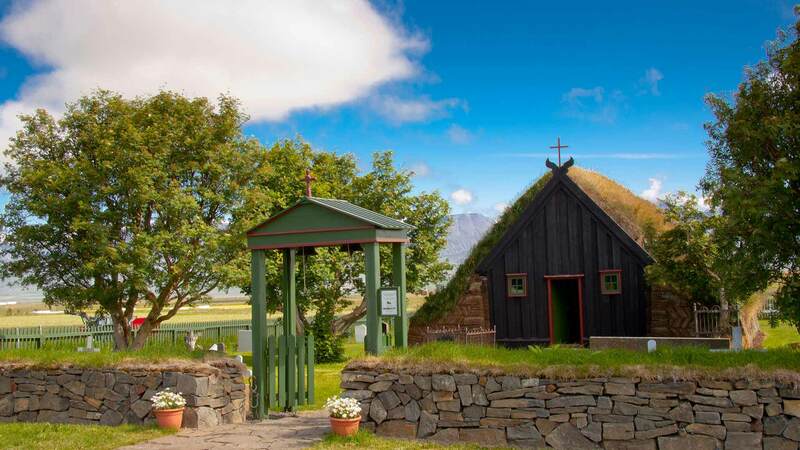 History or Nordic literature buffs may also find it worthwhile to stop at the medieval research institution of Snorrastofa at Reykholt, where Snorri Sturluson wrote the Saga Heimskringla in the 13th century. 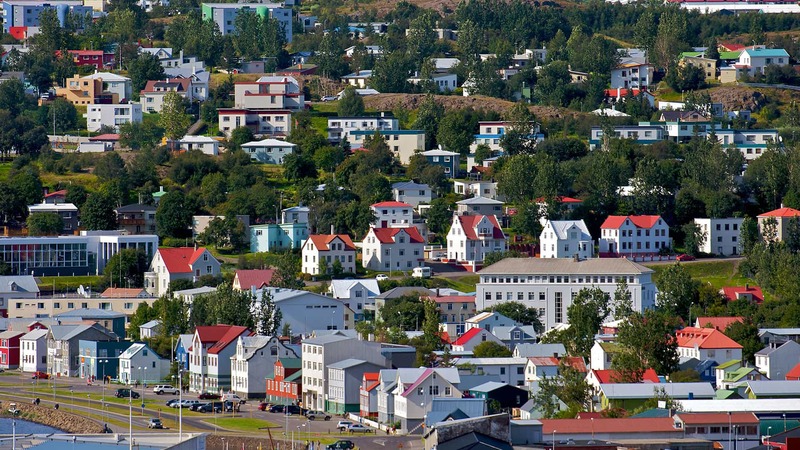 On return to Reykjavik, return the rental car before settling in at your accommodation. Driving distance approx. 275 km / 171 mi. Transfer by shuttle to Keflavík Airport in time for your departure flight. If your flight is in the afternoon, you can fit in a relaxing visit to the Blue Lagoon geothermal spa or even take a short guided tour of the volcanic Reykjanes Peninsula (optional; not included). What a fantastic trip to Iceland. The self driving tour allows you to see what you want to see on your holiday. All the recommendations from the staff were wonderful. All the hotels/guesthouses were clean and easy to locate. Nordic Visitor is 10/10, very friendly and professional. Thank you helping to make this trip one that we will cherish forever! Klara was terrific from beginning to the end of the trip. Thank you helping to make this trip one that we will cherish forever!